Mendel Antelis is no stranger in the Jewish music world. Moshe Antelis (the Father) has played for Piamenta and every band since at gigs and simchas, Shaindel (the Daughter) has two amazing albums under her belt and has a growing following and Jake (the Son) has a amazing studio (Jantelis Studios)that has worked with some great artists like; Moshe Hecht, Omek Hadaver, Yaakov Chesed and Hello Sid. Now its time for another Antelis to make his mark in Jewish music. 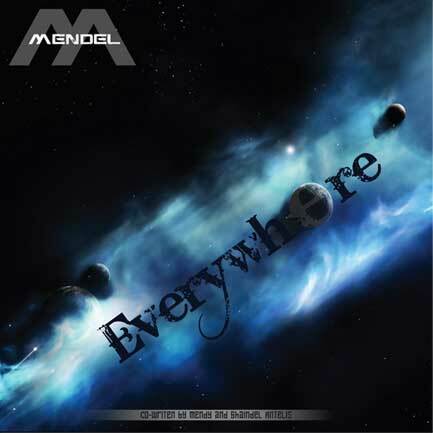 Fourteen year old Mendy Antelis is making is debut with his first single “Everywhere”. A very catchy tune written by Mendy himself with co-written with his talented sister Shaindel. “Everywhere” is a song about how Hashem is always around us and there for us and we have to have Emunah. The song is available as a FREE download right here and will be on iTunes in a few short weeks.